A brother to three-time Leading Sire, Giant’s Causeway, Storm Cat’s son, Freud has emerged as an outstanding stallion in his own right. 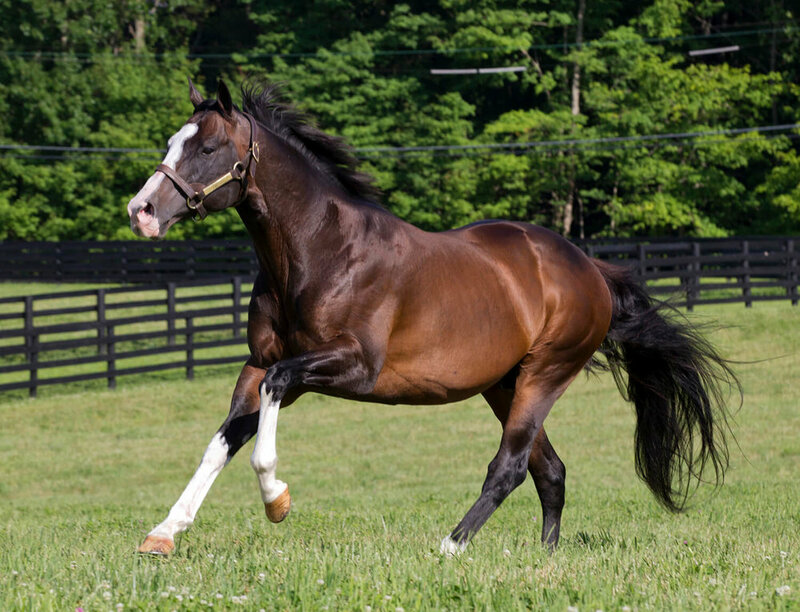 To date he is sire of 57 stakes winners, including grade one winners Sharp Azteca, Giant Ryan, Franny Freud and Must Go On, and U.S. graded winners Fourstar Crook, Hessonite, Lubash, Mr. Vegas and Future Prospect. Giant's Causeway has been exceptional with Mr. Prospector line mares, and Freud has also had his share of success out with mares from this line. His stakes winning and grade one performing daughter Quick Little Miss is out of a daughter of Unbridled (by Fappiano, a strain that has also worked under Giant's Causeway through Quiet American, Defensive Play, Cryptoclearance, Rubiano, Unbridled's Song – broodmare sire of Freud stakes winner Bavaro – and Ride the Rails, the sire of Candy Ride). Unbridled and his son Unbridled’s Song can be also introduced via Broken Vow (who is interesting for being out of a mare by Nijinsky II, a genetic relative to Storm Bird, the grandsire of Freud), Empire Maker, Eurosilver (who also brings in Nijinsky II), Grindstone (sire of Birdstone, who gives inbreeding to Storm Bird), Even the Score, Red Bullet, Rockport Harbor and Songandaprayer. From the Forty Niner line, Freud’s multiple stakes winner Effie Trinket is out of a daughter of Editor’s Note, stakes winner Mah Jong Madness out of a mare by Jules, and multiple stakes winner Darrin’s Dilemma out of a mare by Precise End (by End Sweep also sire of Trippi), and this line can also be brought in through Distorted Humor (broodmare sire of a grade one winner by Giant’s Causeway), Coronado's Quest, Roar, Gold Case, and Gold Fever. From a mare by Lemon Drop Kid, Freud has multiple stakes winner Lovely Syn, and he also has a stakes winner out of a mare by Kingmambo. Out of mares from other branches of the Mr. Prospector line Freud also has stakes winners out of mares by Good and Tough and Flying Chevron (both by Carson City, also sire of City Zip, Lord Carson, Five Star Day, Cuvee and Pollard's Vision), Silver Ghost, Distinctive Pro, Double Negative and Rodeo (by Gone West, who has also done well under Giant's Causeway, and can also be introduced through Grand Slam, Elusive Quality, Speightstown, Mr. Greeley, Proud Citizen, and Western Expression). Giant's Causeway also has a grade one winner out of a mare by Numerous; 2018 stakes winner Therapist out of a mare by Smart Strike (sire of Curlin, Lookin At Lucky and English Channel); and stakes winners out of mares by Mutakddim and his sire Seeking the Gold (also sire of Petionville, and Cape Town), Kingmambo (sire of Lemon Drop Kid), Miswaki (sire of Black Tie Affair), Machiavellian (sire of Street Cry; grandsire of Street Sense), Crafty Prospector (sire of Robyn Dancer and Prospectors Gamble), Distinctive Pro, Lycius, Jade Hunter, Gulch and his sons Thunder Gulch (sire of Point Given) and Torrential, Hansel and Mujtahid (by Woodman) and Silver Ghost. 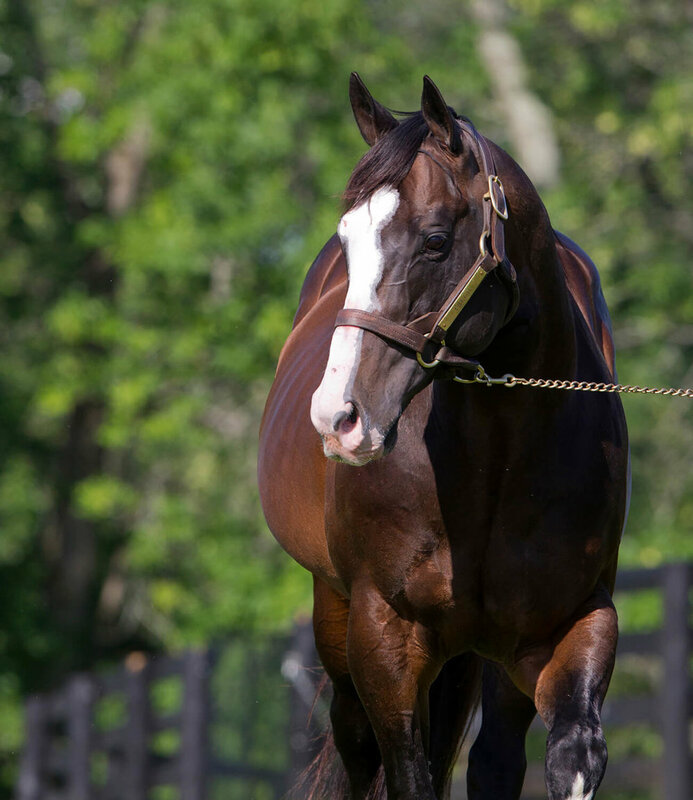 Freud has the spectacular grade one winner Sharp Azteca out of a mare by Saint Liam, and a graded winner out of a mare by Twilight Agenda. Saint Liam is by Saint Ballado and Twilight Agenda by Devil’s Bag, these two being brothers by Halo. Freud carries Halo through Glorious Song, a sister to both Devil's Bag and Saint Ballado. Devil's Bag is also sire of Devil His Due, Abaginone and Diablo. 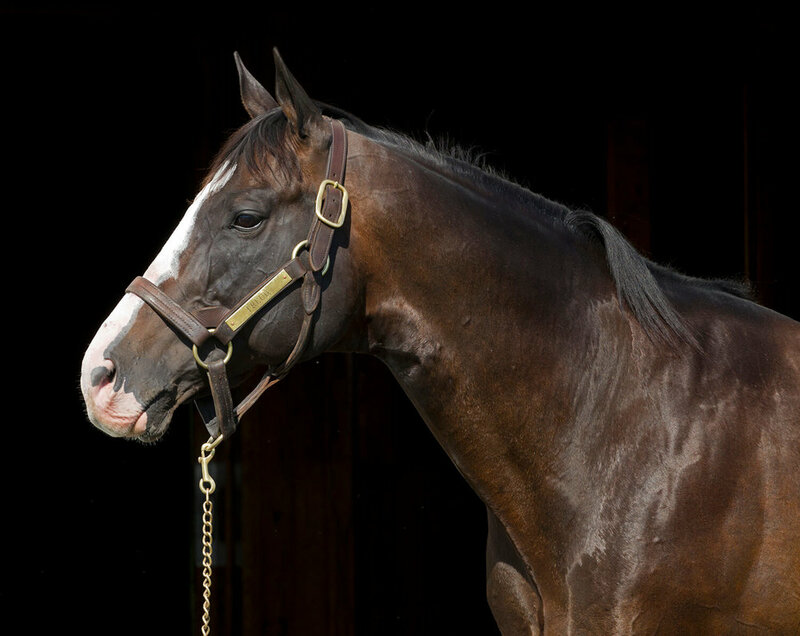 Saint Ballado is sire of Captain Bodgit, Sweetsouthernsaint, Yankee Victor, Straight Man and Flame Thrower, Other sources of Halo include Sunny's Halo, Jolie's Halo, Halo's Image, and Southern Halo (sire of More Than Ready). Halo is a son of Hail to Reason, and Freud has graded stakes winning millionaire Lubush out of mare by Cure the Blues (sire of American Chance), from the Stop the Music branch of Hail to Reason. From the Roberto branch of Hail to Reason, Freud has stakes winners out of mares by You and I and Prized (both by Kris S., who is also broodmare sire of a Freud stakes winner, and who is also sire of Arch, Rock Hard Ten and Kissin Kris). This would also encourage trying mares from the Dynaformer, Red Ransom and Silver Hawk branches of Roberto. From the Northern Dancer line, Freud is sire of grade one winner Giant Ryan out of a mare by Dayjur and multiple stakes winner Dreamsgonewild, by Strolling Along, both sons of Danzig (sire of Belong to Me, Exchange Rate, Boundary, War Chant, Langfuhr, Lost Solider, Hard Spun and War Front), and graded winner Key Dance, out of a mare by Orpen (a grandson of Danzig out of a mare by Devil’s Bag). From other branches of Northern Dancer, he also has $880,000 earner Hessonite from a daughter of Manila (by Lyphard) and multiple stakes winner Merriweather Jessica from a mare by Northern Jove. Giant's Causeway has also sired a grade one winner out of a mare by Dixieland Band, the sire of Dixie Union (broodmare sire of a Freud stakes winner), Dixie Brass (broodmare sire of a Freud stakes winner) and Hook and Ladder. Out of mares from the Deputy Minister line, Freud has multiple stakes winner Freudie Anne from a daughter of Toccet (by Awesome Again) and stake winner P J’s Superego out of a mare by The Prime Minister, encouraging daughters of Dehere, Silver Deputy, Touch Gold, French Deputy and Forest Camp. Freud’s grade two winner Orange Nugget is out of a mare by Louis Quartoze (sire of Repent). From his own broodmare sire line, that of Blushing Groom, Freud has stakes winners out of mares by Cherokee Run (by Runaway Groom, and himself sire of Kafwain andYonaguska) and Orientate and Housebuster (both by Mt. Livermore, also sire of Peaks and Valleys). Freud has two stakes winners out of mares by Honour and Glory (sire of Put It Back), a son of Relaunch (also available through Tiznow and Officer). From mares by D'Accord, a reverse Secretariat/Northern cross to Storm Cat, Freud has sired grade one winner Franny Freud and grade two winner Fourstar Crook. D'Accord is a brother to Medaille d'Or, the sire of Tour d'Or. 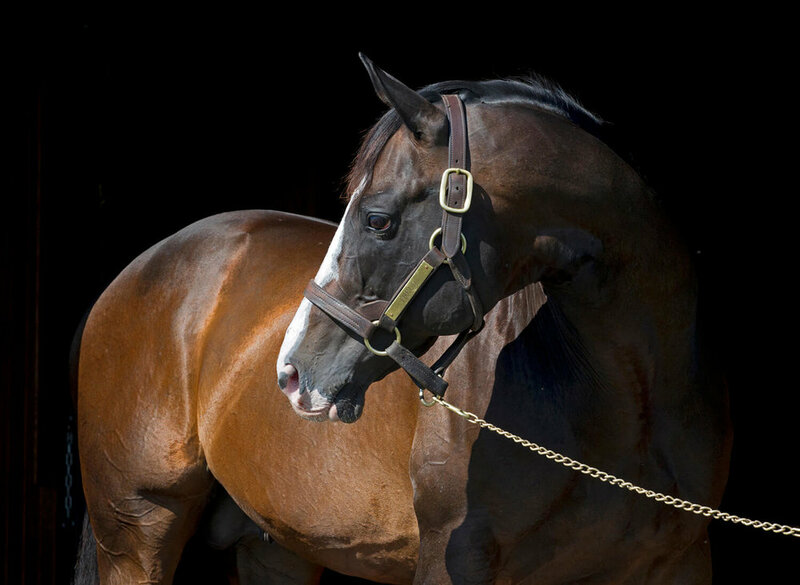 Freud also has stakes winners out of mares by Notebook, Wild Again, Lord At War, Go For Gin (by Cormorant) and out of mares by Friends Lake and his sire A P Indy (whose sons include Pulpit, Malibu Moon, Mineshaft, Stephen Got Even, Golden Missile, Jump Start, Old Trieste, Apitude, Congrats and Flatter). 8f, T, defeating Julie Jalouse, Scottish Minstrel (IRE), Khetaam (IRE), Gormans Best (IRE), Elemental (GB), Domenico (IRE), French Smile (IRE), Starry Lady (IRE), Frank's Lady (IRE), Rubioso, Standing Applause, Incite (IRE), Almeida (IRE). G2 Cork & Orrery S.
6f, T, to Harmonic Way (GB), Three Points (GB), defeating Tillerman (GB), Misraah (IRE), Superior Premium (GB), Modigliani, Pipalong (IRE), Invincible Spirit (IRE), Eastern Purple (IRE), Bahamian Pirate, Orientor (GB), Tedburrow (GB), Juniper, Munjiz (IRE), Fath, Vicious Dancer (GB), Lots of Magic (GB), Baaridd (GB), Primo Valentino (IRE), Bouncing Bowdler (GB).